Filled, boiled and emptied over three and a half thousand times during it's development process, Kambrook’s Stainless Steel Kettle is built to last. 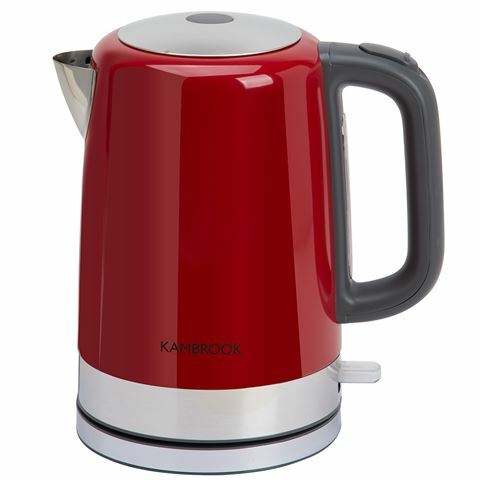 Thanks to the powerful concealed element, this kettle provides rapid boiling results while the boil dry protection prevents the kettle from overheating when there’s not enough water inside. The one-touch lid pops up for easy filling and the removable and washable stainless steel filter ensures that your water is always it its best. 2200 watt concealed heating element. Concealed element provides a rapid boil. Removable and washable stainless steel filter. Boil dry protection prevents overheat when there’s insufficient water inside. Presented in a Kambrook box.